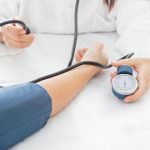 Understanding blood pressure readings: diastolic and systolic You may have heard such readings like 130/86 mmHg or 123/82 mmHg, but what does this really tell us? Blood pressure readings use two numbers: diastolic and systolic. Diastolic is the bottom number; this number is always lower and tells us the pressure on the arteries between heart beats. This is the time when the heart refills with blood. Systolic is the top number which is always higher. It reveals the amount of pressure on the arteries while the heart beats. When it comes to importance, systolic pressure is more closely looked at because it is what can cause higher risks to your health, even more so with seniors. Sneak peeks on the new upcoming ad-free User friendly Android app which is practically going to be your best pal at monitoring your blood pressure. I find sitting down with a magazine or the newspaper for 15 minutes calms me and lowers my blood pressure. 1 Reply| Share this:Relax I find sitting down with a magazine or the newspaper for 15 minutes calms me and lowers my blood pressure. Just taking a short walk can help your blood pressure. 1 Reply| Share this:Walk a Little Just taking a short walk can help your blood pressure. 1. Reminders to help you never miss a reading! When you track your blood pressure (BP) with an App, it's always with you. You can easily set repeated reminder to measure your BP and track your readings not just at home, but also at the gym or at work. The first step in taking control of your health is tracking it, and reminders can make your life really easy! Over 30% of Americans with high BP live a happy health life and are able to effectively keep their condition under control. 2. Know when to reach out for help, don't let it happen to you. High blood pressure is the main or secondary cause of 75% of all strokes and heart attacks. When using a good BP app you get an automatic analysis of your info according to the CDC recommendation and easily understand when you are in a hypertensive crisis range and reach out for help. 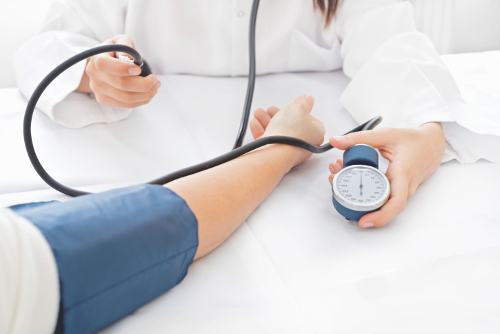 When visiting your doctor, you always have all your BP readings that he/she needs to see. The best apps also have all your medical data in one place - drugs, lab results and other tests so your doctor always has the full picture of your health. When your doctor can easily access all your medical data, you are making sure you are getting the best care. Hello Heart (http://helloheartapp.com ) is a new app that empowers people to take control of their health. It is designed to help people with high BP, chronic patients, and women or men working in stressful environments, to easily manage all of their medical data and track their blood pressure and understand if their cholesterol levels are too high. It has built in notification to track your BP and simple reassuring explanations that help you understand your medical data and always feel calm. Your health is finally in your hands! I had taken amlodipine for about a week and it was giving me a nauseous feeling and a little dizziness for most of the day. I wondered if taking it at night, before retiring, would banish these symptoms to my sleep time. One of the leading causes of deaths, not only in America but worldwide, is heart complication. This may pertain to heart attack, hypertension or anything that is heart-related. However, despite the many advertisements and campaigns about heart awareness and the percentage rate keeps buzzing up. Low blood pressure is part of the family. This is also one condition to worry about, where it actually makes someone feel dizzy, stressed and frequently palpitating. These are early symptoms of the hypotension; the blood pressure continuously slows down and may even cause blurred vision, breathing difficulties and fainting. It is best to maintain your body physically active and fit to avoid excessively over or low blood pressure. Even if you go below the normal blood pressure of 120/80 mm, you will still be okay so long as you don't experience the symptoms. Now, be careful if you hit 90/60 mm or anywhere lower, as that would cause inadequate flow of blood to your vital organs such as heart, kidneys and your brain. There are many reasons that could lead to low blood pressure such as nutritional deficiencies, pregnancy, heart complications, neurological conditions and medications like alpha and beta blockers, antidepressant and more. If you wish to resolve your blood pressure problems, you can do simple adjustments like increasing you fluid and salt intake. You may also avoid alcoholic beverages and lessen your carbohydrates. This means you can lessen you bread, potatoes, rice and pasta. Now, we will help you with the remedies for low blood pressure that can simply be found inside your home. Let's go and get to know them. 1. Salt Water is probably the easiest solution you can use. The idea is to use salt in increasing the blood pressure and provide neutralization. Half a teaspoon of salt would be sufficient enough to be mixed in a glass of water, be careful not to overdo it as that would be unhealthy. 2. Coffee can also be a good temporary solution in order to neutralize the blood pressure. What is suggested is to take a cup of coffee in the morning. Make sure to control the intake so you don't get dependent on caffeine as it has its own side effects. 3. Holy Basil is rich in potassium, magnesium, pantothenic acid and vitamin C, all essential to help heighten the blood pressure. You may extract basil leaves till you get the juice. You may add honey to neutralize the taste and ensure you drink it on an empty stomach. Optionally you may chew four to five basil leaves also, on an empty stomach. 4. One of the Ayurdevic treatments that relates to hypotension is raisins. The suggested method of intake follows a certain method. Make sure to soak 40 pastilles of raisins in cup of water overnight. The next day, eat them on an empty stomach and you can also optionally drink the water it was soaked at. You can continuously follow this treatment until you notice changes on your blood pressure. 5. Licorice root helps boost adrenalin functions allowing cortisol to go through. It normalizes our blood pressure and helps with fatigue syndrome. You can either take licorice root capsules or take a licorice tea that can easily be done by mixing a cup of water with a teaspoon of dried or powdered licorice leaves. 1. Put the right amount of nutrients in the body and keep the body properly hydrated.2. Proper nutrition(This would be number 1 normally but we can't trust what we consume these days. Most of the foods that we think are healthy have a depleted value of nutrition.)3. Exercise at least 3 times a week.4. Detox5. Keep positive, stay focused, be consistent and be patient with your fitness goals. It's ok to push yourself but remember Rome was not built in a day. Do what you can handle. I am a student at Brown University in Providence, RI, USA doing a project on constant blood pressure monitoring. Instead of using a blood pressure cuff, you'd wear a patch or a bracelet-like device that would monitor your blood pressure 24/7 and you'd be able to track your measurements on your smartphone or computer. Do you think such a device would help you monitor your condition better? What are some current problems people have with their blood pressure cuffs? For all who stumble upon this thread, I can feel the pain of trying to quit (and yes, quitting smoking will probably solve all the problems with high blood pressure), and felt completely overwhelmed, frustrated and alone in the process...the tipping point for me was knowing that I was in control of my life, and more importantly, that I had people I loved and that there are proven, scientific methods that have successfully helped millions to quit, and that if they can, I certainly can as well. I hope that you'll reach out to the members of the community who can and are more than willing to help you with your affliction - do NOT try and fight this on your own...you'll end up with emotional distraught, upset and overwhelming frustration as you try but might not succeed without support. Recently, I took the survey which, of course, made me think about my blood pressure and what I was doing for it. I had taken prescription meds only to have side effects that I could not live with (one gave me a terrible sense of doom, which is the only way I can describe it). This will probably show up in a day or two, but I felt that it should be posted now. For a long time there has been a warning about the consumption of grapefruit juice and a few meds. The package insert for simvastatin warns against a quart or more. But new study indicates that many more drugs are affected and it can happen with a small glass of juice and probably a 1/2 of whole grapefruit. And the affect can last over 24 hrs. Also some meds for cancer, inflammation, diabetic, and several other conditions are also affected. From a blog on theheart.com here is a list of the heart related meds. The new anticoagulant rivaroxaban (Xarelto), prescribed in placed of warfarin in some. Clopidogrel (Plavix)—in this case, it completely nullifies the effect of Plavix instead of exaggerating it, as in the other meds listed above. In addition, there is an interaction with the heart-failure diuretic eplerenone (Inspra). I note that sirolimus is also listed here, and I'm curious about patients with stents coated with sirolimus (the older Cypher stents), but I don't know of any data or case reports that directly address this issue. And here is a list of the meds, the effect, and possible alternates from the Canadian Medical Journal. When I wake up in the morning my BP is high 158/100 with pulse rate 75. In 30 minutes or so it reduces to 138/ 82 with pulse rate of 68. For rest of the day it remains around 135/80. I take Mircardis 80 daily? Need I take in addition Natrilix SR or something else? Wow, I know this is an old post but maybe some 'Lisinopril Cough' sufferers, like myself, are still visiting this topic. About two months ago I started taking Lisinopril. I was fortunate enough to have a doctor who told me to be aware that I could develop a cough. After taking it for a few weeks I did develop a cough but it wasn't too bad at first. Now, two months later, it's interfering with my sleep. Lately I got the notion to start gargling throughout the day with Cranberry Juice and it seems to help a little. I also keep a small bottle next to my bed at night. I'm going to have my doctor prescribe something else but I'm going to keep gargling until I can get a new prescription and until the side effects go away.